Palermo is Rosalia, Rosalia is Palermo, wrote the diarists of centuries past and the people shouted the same. 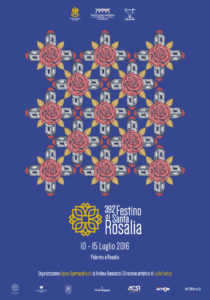 Palermo is Rosalia is the theme for the 392nd Santa Rosalia Festival, giving continuity to the one we organized last year, called ROSALIA IS PALERMO. Rosalia is one of us; she is one of our fellow citizens. Therefore, it is a festival of great tradition but also of great innovation, starting from the chariot design inspired by the Pitrè chariot, growing in height and richly decorated with a triumph of light which will impress with its characteristic decomposition-composition. Regarding the triumphal chariot and the statue of the Santuzza as the focus of the festival – synonymous with a newfound unity and a desire to win back the city and the people, identifying in this an idea of freedom and purification from the evils of the past centuries that afflict it – came the idea to create a new structure which, starting from the mother chariot, will be enriched by new scenic elements to create a new chariot. Children’s entertainment show, on the history of Santa Rosalia, by Daniela Allotta, with Gabriella D’Anci and Federica Marrullo, and the extraordinary participation of Piero Arcidiacono in the role of the magician “Mustafà… one thinks it and a hundred do it”. Director Daniela Pupella Melluso with Daniela Pupella Melluso, Lavinia Pupella, Nando Chifari and the participation of extras and audacious appearances from popular sources, in which special, whimsical, fun and traditional characters intersect. The Giufà stories teach the young audience about colors, sounds and traditions of a fervent Sicily, experienced through the evocative tales of the great master Giuseppe Pitrè. The atmosphere of the streets of Palermo during the period of the festivities of Santa Rosalia and the “Triunfo”. Through the notes and the story told by the “orbi” musicians, the characters and the Saint will materalize. From Baldwin to King Ruggero, from the mother to the nurse, and devils to angels. A mixture of comedy and emotion. 20.00 – “Ti racconto Giufà” Director Daniela Pupella Melluso with Daniela Pupella Melluso, Lavinia Pupella, Nando Chifari and the participation of extras and audacious appearances from popular sources, in which special, whimsical, fun and traditional characters intersect. The Giufà stories teach the young audience about colors, sounds and traditions of a fervent Sicily, experienced through the evocative tales of the great master Giuseppe Pitrè. entertainment show for children, by Daniela Allotta, with Gabriella D’Anci and Federica Marrullo and the extraordinary participation of Piero Arcidiacono in the role of the magician “Mustafa… one thinks it and a hundred do it”. 21.30 – CONCERT OF THE CHOIR OF THE WHITE VOICES OF THE VINCENZO BELLINI CONSERVATORY OF PALERMO directed by Maestro Antonio Sottile, on the piano, Maestro Antonino Fiorino ARTISTIC LIGHTING OF THE FOUNTAIN AND VIDEO MAPPING on the facade of the Church of Santa Caterina. 22.30 – “The Chamber of Wonders” documentary. There is a place in the heart of Palermo, where time seems to stand still. It is here, in the heart of via Porta di Castro, that a room straight out of One Thousand and One Nights, tells a mute story made of symbols and magical rituals. A few steps from the popular market Ballarò, in the apartment of Valeria Giarrusso and Giuseppe Cadili, is this mysterious room that is being discussed by scholars from various parts of the world. First edition of the “Palio di Santa Rosalia of the four districts” organized by ACSI Delegation of the Metropolitan Area of Western Sicily. It is an event that is inspired by the ancient races that were organized during the citizens’ festivals. The athletes will face off at the Cassaro, along the strip from Piazza Vittoria to Piazza Bologni, with the start and finish line, just opposite the Cathedral, about 1500 m, which they will cross several times. At every lap, from a particular point, they will sprint for about 300 m. The last four in each sprint will be eliminated and the four athletes still in the race on the last lap will contest for the final victory. 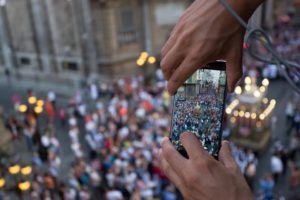 Each team will represent one of the four districts of the city and the winner will be awarded a Palio that will be stored at the Palazzo delle Aquile. The last four athletes, who compete for the final victory, will be awarded the plaques. Emanuela Fai Voice, Bruna Perraro, Transverse Flute, Claudio Arena, Flute, Virginia Majorana, Accordion, Massimo Provenzano, Bass, Paolo Carrara, Guitar, Raffaele Pullara, Mandolin, Giovanni Costantino Percussion and Marranzano. Folk music intertwined with the melodies of baroque echoes and Arabian sounds. Giuseppe Pitrè’s research into folk songs is a source of inspiration for Kaiorda who, evoking folklore and popular traditions, will revive the songs, festivals and Sicilian proverbs. 21.30 – “Documentary – Palermo and twins” We find the cult of St. Rosalia in the Colombian Palermo and a great devotion of the “palermuna community”. Two twin cities linked by the cult of the common Patron Saint Rosalia. As part of the intercultural exchange with Palermo-Huila in Colombia Carnaval de Santa Cruz Bolivia. Piazza Pretoria 10 to 15 July 2016: FOOD AND FESTIVALS IN SICILY from 10.00 to 13.30 and from 14.30 to 17.30. 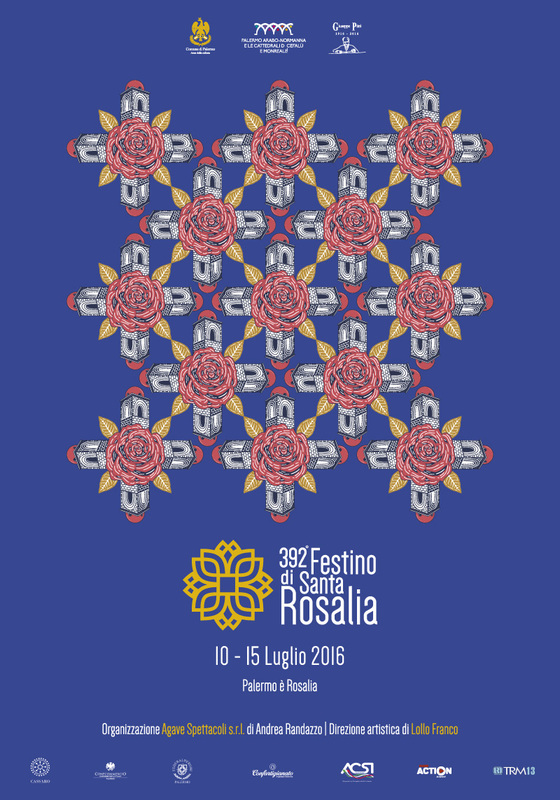 Admission during the period of the 392nd Festival of Santa Rosalia 50% discount on the ticket. 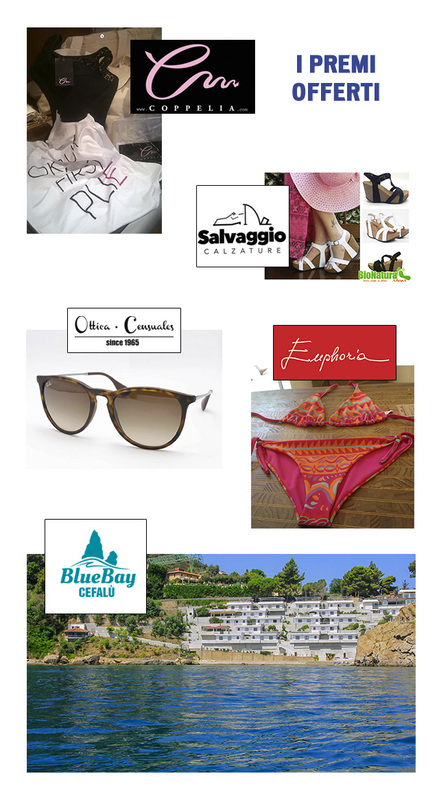 Customs and symbols of the traditional festivals and pastries of ancient Sicily. A show that is a real journey between customs, expressions, representations and food knowledge, related to rituals and the most important holidays of the Sicilian ceremonial calendar. An area dedicated to the festival of Santa Rosalia. photos must be consistent with the requirements and sent to our mail address. They will be published on our Facebook page. The first 20 photos that receive the most likes will then be examined by a commission composed of the management of the Festino together with the coordinator of Legalitars, Rosellina Garbo.